Many years of malting and brewing are highlighted by the extensive experience that the CMBTC staff provide for our stakeholders. The CMBTC carries out a number of activities and offers a variety of services to its members in the malting barley, malt and brewing industries. New variety quality evaluation - The CMBTC works with breeders to evaluate new lines that reach collaborative trials. Pilot scale malting barley brewing trials of new varieties are conducted after registration by the CFIA. The CMBTC is able to perform this testing on new varieties earlier than the commercial industry generating commercial quality results with 75 kg batches. The CMBTC works in concert with our members and customers, malting and brewing under their conditions with new varieties providing information several years ahead of potential commercialization. Quality data reports generated and shared with members and end-users. Unique qualities and special processing attributes of new varieties identified and communicated to members and the industry. Cargo Quality Control (CQC) program of CMBTC is a unique program that provides end-users with barley quality information, malthouse and brewhouse performance and economic data on the actual shipped cargo. Utilizing our pilot facilities, a composite of the loaded cargo is analyzed and the data is prepared before the cargo arrives at the end-user. Trouble-shooting - The CMBTC provides hands-on technical support and trouble-shooting to our members and end-users. The staff from CMBTC can be on-site, anywhere in the world, within days to provide assistance with a problem or provide technical information. As buyers push more quality responsibilities back to the supplier, the CMBTC will become more valuable as "value-added" to the buyer. Communication of technical data, market signals - The CMBTC provides technical information to existing and new markets on new crop quality as well as newly developed malting barley varieties to encourage interest and demand for Canadian malting barley. The CMBTC also works with its partners including the Brewing & Malting Barley Research Institute (BMBRI), the Grain Research Laboratory (GRL) of the Canadian Grain Commission (CGC) as well as the provincial barley commissions and the Barley Council of Canada (BCC) to provide producers with clear signals as to what varieties are required by the industry. The CMBTC publishes its Recommended Malting Barley Varieties list each year and also disseminates information directly to farmers through producer meetings delivering presentations on the needs of the malting and brewing industries to facilitate and encourage producers to grow malting barley. Promotion of Canadian malting barley varieties to end-users - The CMBTC works to ensure end-users have the information they require on existing and new Canadian malting barley varieties to make the best purchasing decisions. 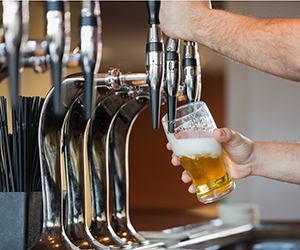 Adjunct brewers require different quality parameters in barley and malt than all malt brewers, and different Canadian malting barley varieties are best suited to each of these requirements. The data supplied by the CMBTC can help companies optimize their processing and ensure high-quality end-products. CMBTC targeted training programs provides the producer to end-users with detailed knowledge of the Canadian malting barley industry. Members can participate in any of the CMBTC Malt Academy programs free of charge (generally we hold the 3 day and 2 week intensive programs 2-3 times each per year). Research - The CMBTC conducts research in collaboration with our members and other stakeholder partners that help differentiate Canadian malting barley in the market place. Our research is focused on areas that enable Canadian malting barley to be distinguished by the buyer as the best quality in the world. Through this work the CMBTC has been able to demonstrate to buyers that Canadian malting barley is easier to malt, provides enzymatic potential in the brewhouse and results in more fermentable wort and higher foam active proteins in finished beer.